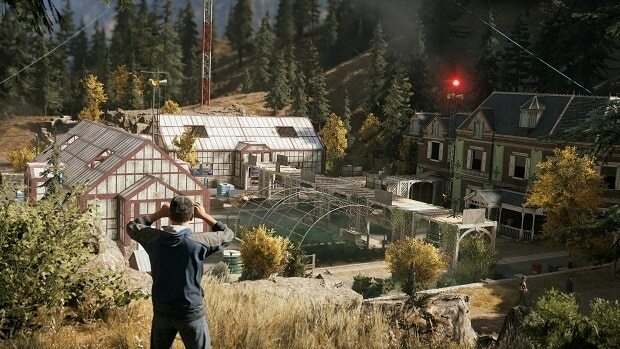 One thing every gamer knows that Ubisoft never shields itself away from any type of controversy in their games and with the recent release of Far Cry 5 there is a lot of controversially humorous, stuff that the developers have in the game. 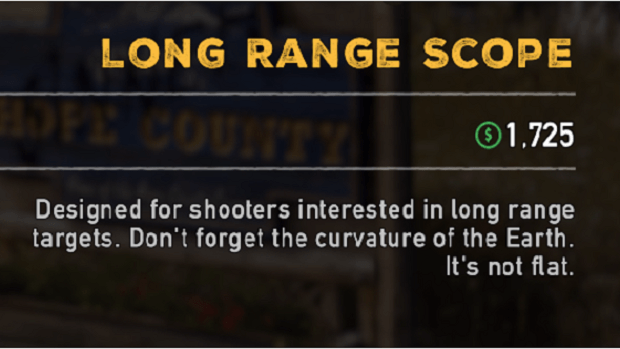 It seems to be that the description of the Long Range Scope has something to say to the Flat Earthers. For them, it may also come as a witty remark, but it certainly is hilarious. The Redditor JunckerDK while checking out the game’s Long Range Scope that is used for sniper rifles, noticed something pretty interesting. The Long Range Scope has a pretty sassy description, which apparently, intends to make a remark to the Flat Earthers. For those out there who are the believers that Earth is flat, they might not have noticed it in the game before, but with this news making its way now they just might be a little angry with the developers. This is not the only reference players have been finding in Far Cry 5. There have been many other references similar to this one, as well. Like very recently another Redditor who goes by the name, BertKern64, found a clear nod to the American conspiracy theorist and radio presenter Alex Jones in Zip’s newsletter. You guys would already remember the Trump’s pee tape in the game as well, which also took the hype. That being said, if you guys are looking for any type of Far Cry 5 guide, we have made available a bunch of guides for you. From the game’s cult outposts guide to game’s loadouts guides. So do give them a look, you will surely find them helpful. The game Far Cry 5 rolled out on March 27th and is available for Xbox One, PlayStation 4 and PC.